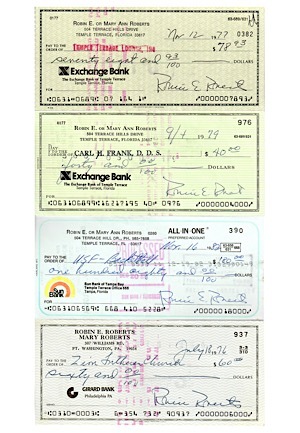 Four personal checks from 1976-82 handwritten and signed by Robin Roberts. 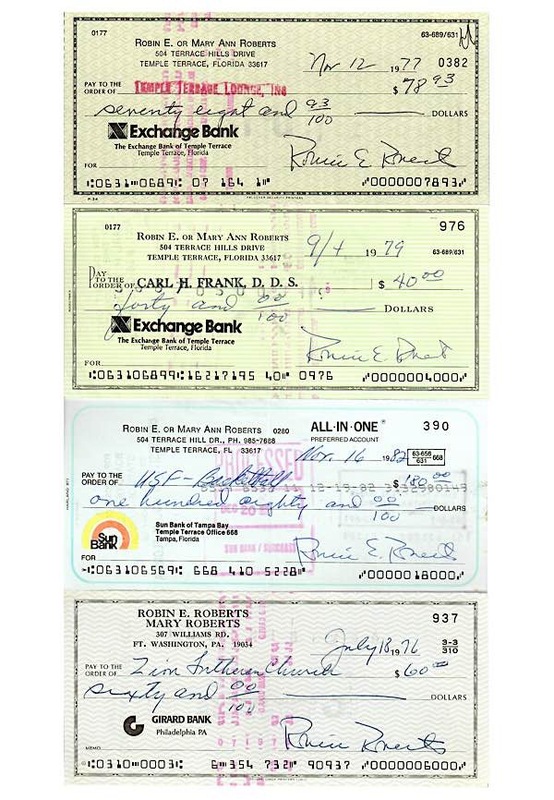 Roberts signed on the appropriate line in blue or black ink and in our opinion the signatures rate a combined 9. Accompanied by a LOA from JSA.